Professor Adam Balen MB, BS, MD, DSc, FRCOG is a full time Consultant in Reproductive Medicine at Leeds Teaching Hospitals NHS Trust. In recognition of his research, he was awarded a personal (honorary) chair in 2004 and a DSc in 2010, by the University of Leeds. Adam qualified as a doctor in 1983 and spent his first few years training in obstetrics and gynaecology in London, Oxford and even a spell in Africa. These were the early days of IVF and he worked with some of its pioneers (Bob Edwards, Howard Jacobs). He became a consultant in Leeds in 1996 with subspecialty accreditation in Reproductive Medicine, helping to create one of the UK’s largest IVF units. Professor Balen has been the only UK gynaecologist to sit on the international consensus groups on the definition and management of PCOS, which have written major guidelines since 2003. He is currently Chair of the World Health Organisation (WHO) expert working group on the management of PCOS for the Global Taskforce on Infertility. He is also Chair of the British Fertility Society. 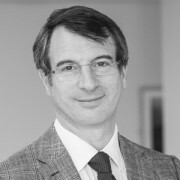 As Chair of the BFS, Adam has overseen the creation of two new national task forces: Fertility Preservation UK, to ensure nationwide provision for those who require fertility preservation for medical reasons and The Fertility Education Initiative, to improve the provision of education to young people about all aspects of reproductive health, including factors that may influence their future fertility. Currently on the editorial board of The British Journal of Obstetrics and Gynaecology, Adam is the author of 12 books and over 230 peer-reviewed papers. He lectures and speaks widely at institutions nationally and internationally.